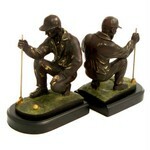 Below is the vairety of different sports bookends we have for sale. 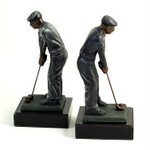 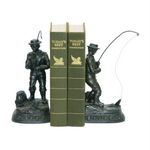 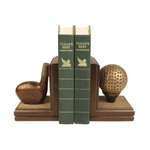 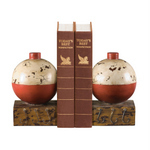 Our selection includes bookends for golf, baseball, football, tennis or even fishing bookends. 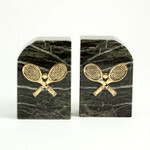 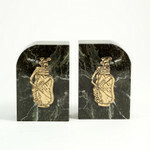 These sports bookends come in a variety of styles including red and white colored bookends and brass bookends.